Bruce Springsteen’s memoir Born to Run brilliantly gets to the essential nature of many things: creativity, depression, New Jersey . . . and on top of that it’s a workplace memoir. C’mon, haven’t you dreamt of breaking out of cube life to become a performer? Great reading, really, because we follow his career from the ground up. Furthermore, Springsteen has reached dissertation status. New Jersey’s Monmouth University, “just steps from Springsteen’s birthplace,” houses the Springsteen archives: “nearly 35,000 items from 47 countries that range from books and concert memorabilia to articles and promotional materials. 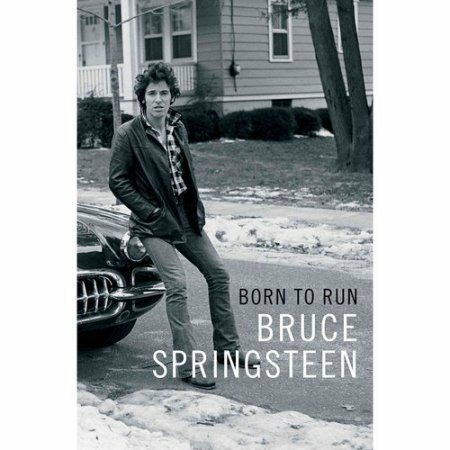 It serves the research and informational needs of music fans, scholars, authors, and others with a serious interest in Bruce Springsteen’s life and career.” Rock on. Ironically, even though I heard Springsteen for 50 cents at Rutgers (this was before “Greetings from Asbury Park”), I’m more of a Steely Dan gal. I go for the Dan’s lacquered jazz-ish sound and sly elliptical lyrics, the opposite of the E Street Band’s raw, red-meat attack. But the sad truth is that Bruce’s book is better than Donald Fagen’s Eminent Hipster. The Boss can write.